Hunter residents will get a chance to glimpse into the future as the Hunter Innovation and Science Hub offers events each day in National Science Week. The newly named Hub is a ‘one-stop shop’ where the community can find out about all the wonderful STEM events and activities in the Hunter. The dynamic week starts with the Hunter Valley Electric Vehicle Festival on the 13th and 14th August and concludes with the annual Hunter Science Festival at the Newcastle Museum on the 21st August, with all kinds of activities in between. This year, robots will be taking over the Hunter, with a Robotics Workshop happening at Cessnock High School and the University of Newcastle’s RoboGals visiting Singleton Library. RoboCup Junior will also be taking place at the Forum, UON. This event encourages the next generation of innovators to take a hands-on approach to creation, making robots dance, rescue and even play soccer! At Drones in the Vines, UAV AIR will be showing off the amazing technology of drones in the beautiful vineyards of the Hunter Valley. Lucky participants will even get the chance to fly one! Bots and Beers will be an unmissable evening for those interested in innovation. Witness how 3D printers are revolutionising manufacturing with Me3d, all while enjoying a few craft beers at the Foghorn Brewhouse. Discover the cutting edge research being performed at the CSIRO’s Energy Centre on a guided tour from one of the Centre’s Scientists. The Hunter Valley Electric Vehicle Festival will again be highlighting the development of sustainable transport, as students’ race electric bikes and solar-powered cars and cutting edge technology is on show over the two-day event. HMRI will be opening its doors to the public to get a behind the scenes view of the labs. Leading paediatric researchers will also be leading a discussion on children’s health. Experience native Australian flora through a guided walking tour of the Hunter Region Botanic Gardens at Heatherbrae. Closer to the coast, geologists will be leading ‘Time Walk’ tours of the Newcastle foreshore, examining the many spectacular geological features that characterise the city. The Hunter Earth Science Discussion Group (HEDG), and speaker Kim Ellis, will discuss how space age developments affect all people in unexpected ways. Hunter Pi in the Sky are also hosting a discussion on the importance of paleoclimatology with Dr Janece McDonald. Finish the week at the annual Hunter Science Festival on Sunday, August 21 from 10am until 2pm, hosted by the Newcastle Museum. This celebration of all things science is the grand finale of National Science Week, and will feature a huge array of activities and displays designed to entertain the whole family. Be sure to catch the science shows, solar cars and robots, as organisations from across the Hunter come together to showcase STEM. NSW Chief Scientist & Engineer, Professor Mary O’Kane, said the Hunter Innovation and Science Hub is helping raise awareness of the relevance of STEM to our everyday lives. “The Hunter region is well developed in its delivery of STEM based education and community engagement. By hosting inspiring science activities and events during National Science Week and at other times of the year, the organisations involved are exciting our young people and their families about the wonders of science, technology, engineering and maths,” she said. 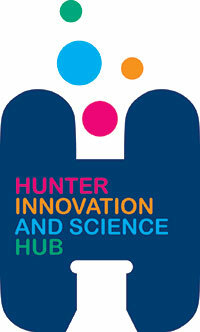 The Hunter Innovation and Science Hub is supported by Inspiring Australia.